Xmodule installed but Kantu not identifying it - Forum for Kantu Task and Test Automation and the free OCR API. I get the status updated: Not Installed, though it is installed on my machine. I am on windows 7. This happens with both Chrome and Firefox. I have Sophos EndPoint installed on my system. I did not try outside of my network to check this issue with the AntiVirus. Do you have any advise for Sophos EndPoint? We tested with Sophos Endpoint installed now. 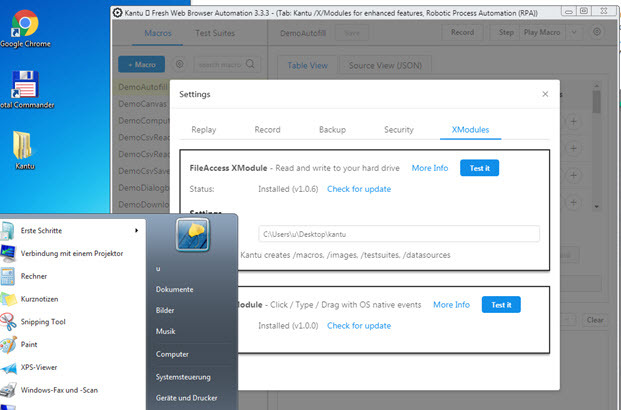 The installation works fine, and Kantu detects the installed XModules. So I guess the issue is something else, but I am not sure what.